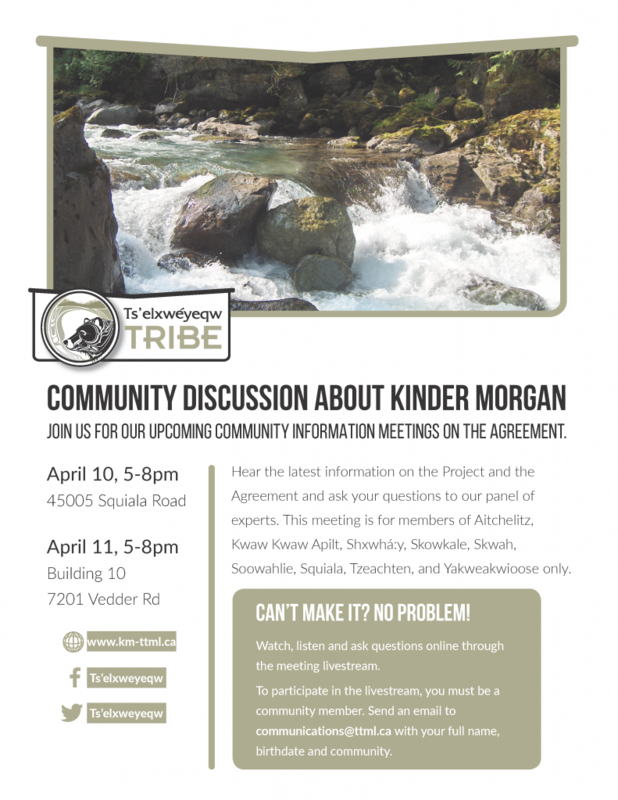 Community Discussions About Kinder Morgan April 10 & 11 – Ts’elxwéyeqw Tribe Management Ltd. Still have questions about the Mutual Benefits Agreement? Have them answered at the community information meetings on April 10 and 11. Can’t attend in person? No problem! We will be livestreaming the community meetings online. To participate in the livestream, you must be a member of one of the participating communities. Send an email to communications@ttml.ca with your full name, birthdate, and community.